Unless you’ve been living under a rock for quite some time, you will be aware that calcium plays a big role in building bones and keeping bones healthy. 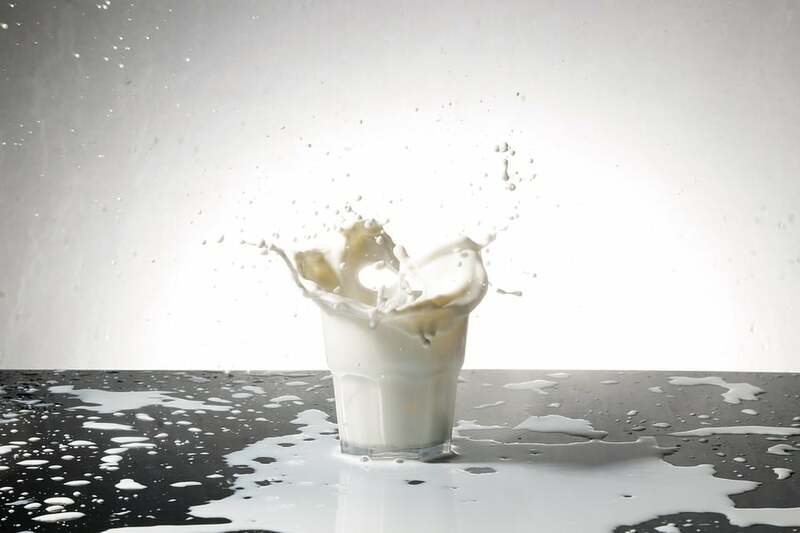 And yes, even if you have developed osteoporosis, calcium is a key element to helping you maintain the strength of the undamaged bones and is considered helpful in preventing further bone loss. What we put into our bodies is important. Every element of foodstuff plays a role in energising and maintaining the body. And we now know that calcium is the essential building-block for strong bones and teeth. But that’s just the surface of the importance of calcium. It is required for every cell of the body to keep things functioning at optimum health. It is used by the muscles and the nerves, and is contributory to proper blood clotting. It’s also vital to keeping your heart muscles working, and for transmission of information between nerve fibres. If the concentration of calcium in the system should fall too low, or go too high, certain organs may fail to function. The intestines will, however, either absorb or reject the calcium as needed. However, if there is not enough calcium, the body will simply ‘borrow’ what it needs from the bones. Calcium is one of the body’s electrolytes, which are minerals that carry an electric charge when dissolved in body fluids. However, most of the body’s calcium is uncharged. The body moves calcium out of the bones and into the blood stream as needed to maintain a steady level of calcium in the blood – and this level is regulated by two hormones: parathyroid hormone and calcitonin. Parathyroid hormone: This is produced by the four parathyroid glands, located around the thyroid gland in the neck. When the calcium level in blood decreases, the parathyroid glands produce more parathyroid hormone. When the calcium level in blood increases, the parathyroid glands produce less hormone. Causes the kidneys to activate Vitamin D, which enables the digestive tract to absorb more calcium. Calcitonin: Produced by cells of the thyroid gland, its function is to lower the calcium level in blood by slowing the breakdown of bone, but only slightly. Too little calcium in the blood is called hypocalcemia; too much calcium in the blood is called hypercalcemia. Diet: We still get a goodly amount of calcium from dairy products such as yoghurt, milk and cheese. Fortified juices and milk (see below) are becoming more sought-after as people become increasingly aware of the importance of healthy bones. You can add to this with other foods, such as: sardines, sesame seeds, tofu, salmon, figs, rhubarb, spinach, beans and broccoli. Supplements: Calcium supplements abound in the form of capsules, powder drinks, dissolving tablets, etc. And they come in different types of calcium in different combinations with magnesium, zinc and Vitamin D. So, the choice can be bewildering. The most common and least expensive type of supplemental calcium is calcium carbonate. However, especially for older people and those with sensitive stomachs, calcium citrate is more easily absorbed. To ensure maximum absorption, take with meals. Milk products enriched with calcium recommended by NOFSA – a superb supplement to enrich your diet with calcium! Clover Care: The future of dairy is here! An enriched, full-cream milk – a high quality, great tasting product from Clover. Enriched with vitamins, amino acids and minerals, you can now give the whole family the nutritional boost they need to stay healthy. Voted Product of the Month! Clover Nolac Lactose Free Milk: Enjoy milk again! More than just lactose-free, Nolac has been enriched with Calcium & Vitamin D, which are nutrients known to be lacking in the diet of a lactose intolerant person. New Clover NoLacTM Lactose Free Milk is easy for lactose intolerant people to digest because it has been pre-treated with the enzyme lactase to break down lactose. Enjoy the foods that give you zest for life! And love your bones!